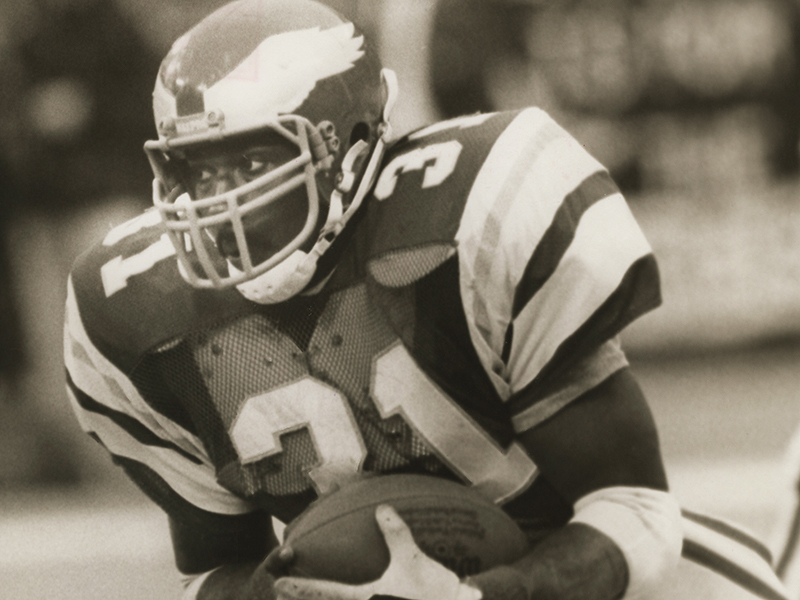 Wilbert Montgomery led the 1980 Philadelphia Eagles to their first appearance in the NFL’s Super Bowl. It’s been 37 years since the Philadelphia Eagles turned to an Abilene Christian University football legend to help them reach the Super Bowl. Two weeks ago, they did it again. Both moves turned out pretty well. Wilbert Montgomery (’77) was one of the honorary captains – along with Brian Dawkins – chosen by the team for its Jan. 21, 2018, NFC Championship Game with the Minnesota Vikings. The Eagles won, 20-7, to earn their third trip to the Super Bowl, played tomorrow in Minneapolis against the New England Patriots. On Jan. 11, 1981, all eyes in Philadelphia and Abilene were on Montgomery as the Eagles prepared to host the Dallas Cowboys in the NFC Championship showdown on a day better fit for pond hockey – temperatures in the teens and gusty winds. Montgomery had been hobbled with leg injuries and his game readiness was unclear against the Cowboys, a team the Eagles tied at 12-4 atop the NFC East standings and to which they lost on the last game of the regular season in Dallas. 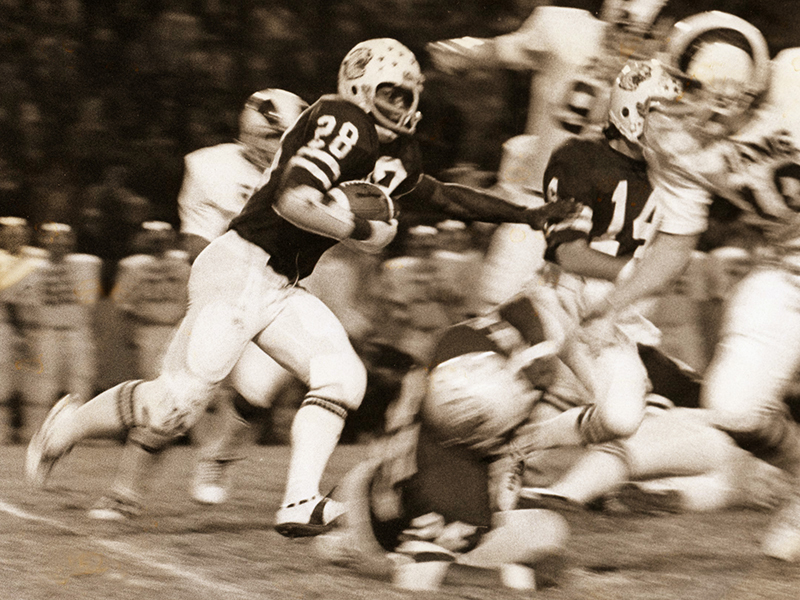 When he graduated in 1978, Montgomery was college football's all-time regular season scoring leader with 70 TDs, breaking a mark held by Walter Payton of Jackson State University. ACU had a record of 34-9-1 during his career (1973-76), when he ran for 3,047 yards and scored 76 TDs. On that day he carried the ball 26 times for 194 yards – two yards short of the NFL record for a playoff game – and the Eagles prevailed 20-7. He also became the first opposing player to run for more than 100 yards in one of the Cowboys’ 26 playoff games to that point. Montgomery had a stellar playing and coaching career of 29 seasons in the NFL. He rushed for 6,538 yards and 45 touchdowns, and caught passes for 2,447 yards and another 12 scores during his eight-year career in Philadelphia. He held the team’s career rushing record for three decades, and has two of the top four and three of the top 10 single-season rushing totals in Philly history. He was inducted to the Eagles’ all-time Honor Roll in its inaugural year (1987) and remains ACU’s only inductee to the National Football Foundation’s College Football Hall of Fame. He played in Super Bowl XV and coached in three others – XXXIV and XXXVI for St. Louis and XLVII for Baltimore – and won two rings overall. Montgomery also tutored some of the best running backs in NFL history while an assistant coach for St. Louis (1997-2005), Detroit (206-07), Baltimore (2008-13) and Cleveland (2014-15). Six former Wildcats have played in Super Bowls: Clint Longley (Dallas, 1976), Wilbert Montgomery (Philadelphia, 1981), Cle Montgomery (Oakland, 1984), Dan Remsberg (Denver, 1987 and 1988), Danieal Manning (Chicago, 2007) and Taylor Gabriel (Atlanta, 2017). Another, 1949 graduate V.T. “Vitamin T” Smith Jr., played in three NFL title games (1949-51) for the Los Angeles Rams before the game was called a Super Bowl. While he never played in NFL, Emmy Award-winning Lance Barrow, a 1977 graduate, has been the lead producer for three Super Bowls telecast by CBS Sports. He has been an ACU trustee since 2005. Cle, Wilbert’s younger brother, also has been a member of the ACU board. He and Smith are the only two Wildcats to win an NFL championship ring as players. job of keeping us informed about our famous alums! Thank you!